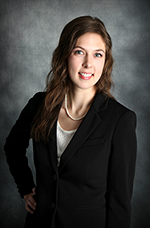 Dr. Olson is originally from Mahnomen, MN where she was raised and attended school. She then graduated from Minnesota State University-Moorhead with a degree in biology. She earned her doctorate at the University of Missouri-St. Louis College of Optometry, where she completed rotations at a variety of different clinics both in St. Louis and Minnesota. Her rotations focused on the diagnosis and treatment of ocular disease, primary care optometry, contact lenses, and pediatrics. Dr. Olson is a member of both the Minnesota Optometric Association and the American Optometric Association. She is also a member of the Pelican Rapids Rotary and the Barnesville Thursday Nite Lions Club. Her interests include baking, spending time with friends and family, trying new foods, and traveling. Schedule an appointment now with Dr. Olson.